Install your HTML email signature in no time! Use our signature installer or follow our step-by-step guides to install your email signature in Canary Mail. It's never been easier to create a new email signature for Canary Mail. 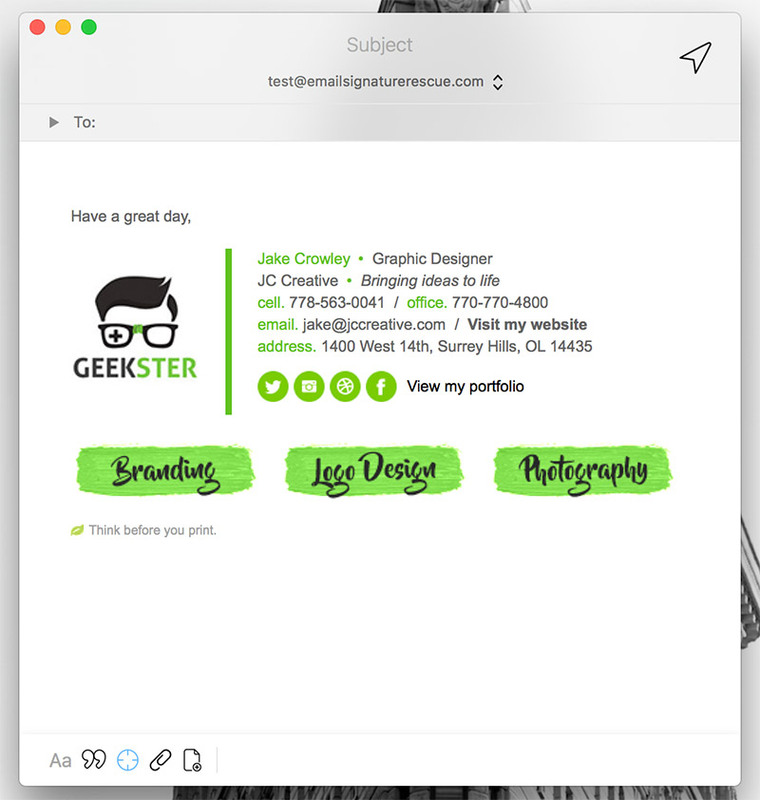 Check out our beautiful email signature templates and easy to manage email signature software, that makes creating email signatures for Canary Mail a breeze. To have Canary Mail open. If you run into any issues during your HTML email signature installation in Canary Mail, please see the Troubleshooting FAQ for frequently asked questions, before contacting support through your member account. 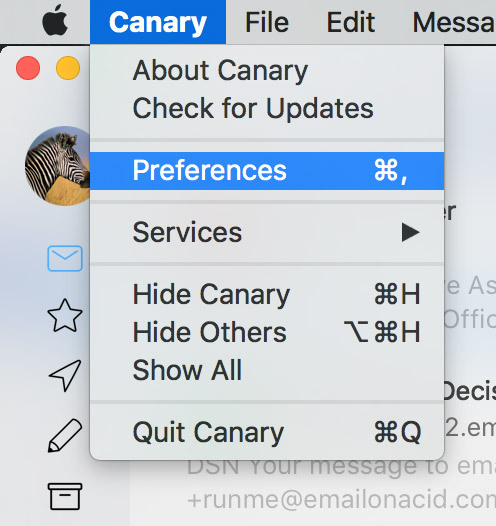 Open Canary Mail for Mac. From the top menu, select Canary then Preferences. From the Preferences window you will see tabs listed across the top, select Signature. From your Signature tab you will now see a large blank box which is where you will insert your email signature. Firstly, we want to open our email signature and copy it. If you have had your email signature sent to you, simply open it in your web browser. If you have logins to your Email Signature Rescue account, select Full Screen Preview on your signature from your dashboard. Now that you have opened your email signature, press Command + A to select all, then Command + C to copy the email signature. With your email signature copied, switch back to Canary Mail, click into your signature window and press Command + V to paste. Now that your signature has been pasted, untick the Sent from Canary check box at the bottom left of the signature window. 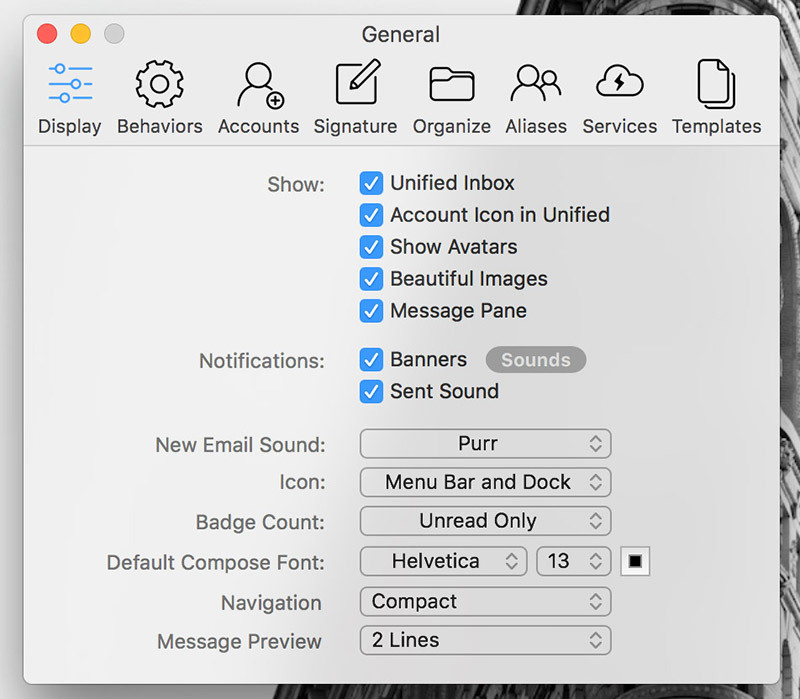 Click Save, close out of your preferences and compose a new email. Your signature will now be automatically inserted into your emails. If you have tried our Written Instructions for installing your signature into Canary Mail and you run into any issues, please read through this troubleshooting guide before contacting Support for further help.